Starkey 3 Series hearing aids are available in five different styles, from Completely In Canal (CIC) to Behind The Ear (BTE), and can suit mild to severe hearing loss. HydraShield, the water and wax repellent technology, makes your hearing aids low maintenance to clean and care for. Differentiates loud and soft sound frequencies for a more natural effect. Feedback suppression technology makes any buzzing or whistling you might normally experience disappear. Precision microphone technology reduces unwanted background noise whilst making peoples voices easy to recognise. All five fitting options offer up to seven different colours to suit your skin tone or style, so they’ll blend in whether tucked behind your ear or hidden in your ear canal. Starkey HydraShield technology makes 3 Series hearing aids water resistant, so you don’t have to worry about getting caught in the rain! It also keeps your hearing aids clean by protecting them against wax – just another way to keep them low-maintenance and easy to wear. With less background noise, and no artificial buzzing or whistling, you can focus on what’s important without being distracted by unnecessary sounds. 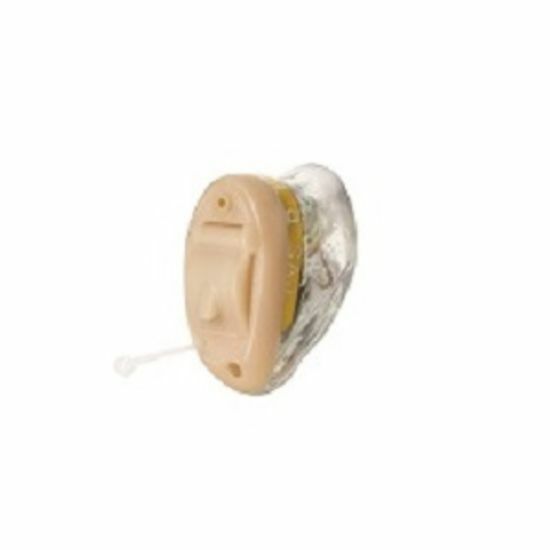 Starkey 3 Series hearing aids also come with the Starkey SurfLink accessory, which can stream to most Bluetooth™ devices so you can listen to music hands-free, as well as connecting your aids to your television. It’s these little lifestyle differences that make Starkey 3 Series aids perfectly adaptable to you, rather than you adapting to them. You can speak to any of our in-store audiologists about Starkey 3 Series hearing aids and discuss the best options for you. We offer a free hearing assessment which you can book online, or call your local branch on 0800 40 20 20.